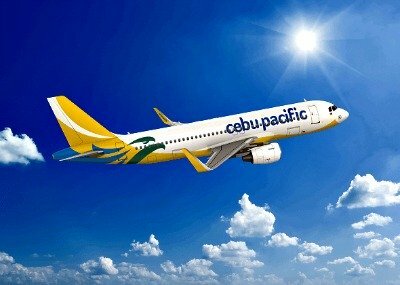 The Philippines' leading carrier, Cebu Pacific (PSE: CEB), recorded a net income of P4.4 billion in 2015, a growth of 414% from the previous year, propelled by robust passenger and cargo revenues, and lower operating expenses. The Cebu Pacific Air group's total revenues went up by 8.7% to P56.5 billion, on the back of sustained growth in passenger volume on key domestic and international destinations. The airline's improved presence in emerging markets, supported by a conservative fleet expansion plan, also contributed to the upward trend. "CEB's dynamic market has grown exponentially in two decades, thanks to the continued trust and patronage of our valued guests, and the staunch support of airline regulators and stakeholders both in the Philippines and abroad. Our passengers now number over 125 million since our inception – a testament to our commitment in enabling everyJuan to fly, through our extensive and most affordable flight network," said Atty. JR Mantaring, CEB Vice President for Corporate Affairs. In 2015, the number of flights also soared by 7.6% year-on-year with the launch of new routes such as Manila – Doha and Cebu – Tokyo (Narita), and increased frequencies of existing routes.